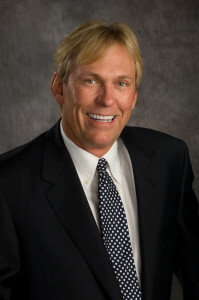 My name is Dale Payne and I am an independent Financial Professional in Colorado Springs. I’ve worked as a Financial Professional since 1986 and a licensed insurance agent since 1990. Over my 28 years of experience, I’ve found that it takes a solid plan of action to reach a achieve a positive end result. My objective is to help you achieve your goal of financial freedom. I can help you with Financial Services, Insurance needs, Annuities and even How to Save Money at any income level. I am also a Registered Tax Return Preparer. I am a graduate of the University of Phoenix with a Bachelors Degree of Science in Business Management. I earned my ChFC® (Chartered Financial Consultant) in 2007 and CLU® (Certified Life Underwriter) in 2008 from the American College and my CFP® (Certified Financial Planning Practitioner) in 2012 http://CFP.net. CDFA® (Certified Divorce Financial Analyst. Additionally, I am a member of the Better Business Bureau. My passion is financial services and the relationships that result when I make a difference. My other passions are travel, writing short stories, the practice of yoga, and my Miniature Schnauzer, Bella.